Good morning sleepyhead! The clocks went ahead yesterday and I don’t know about you but I’m definitely feeling tired this morning – Nothing another coffee can’t fix. 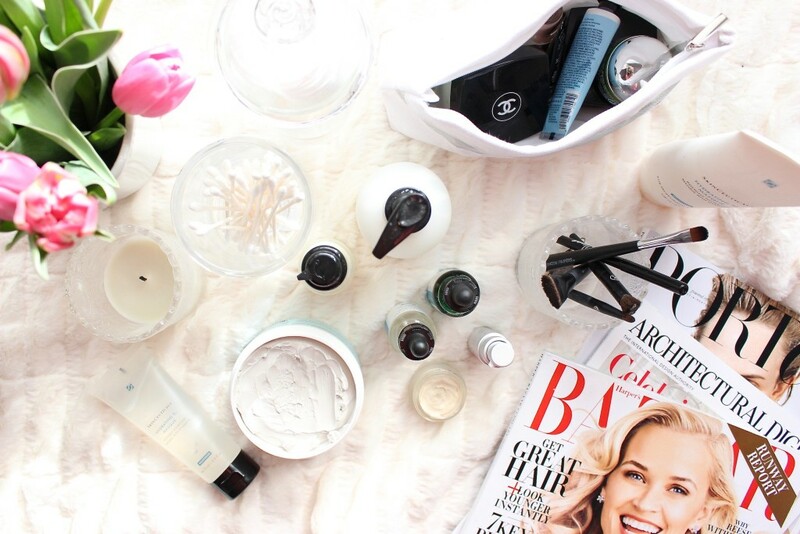 There’s few things I love more than getting to try and test out new skincare and beauty products to add to my regime. 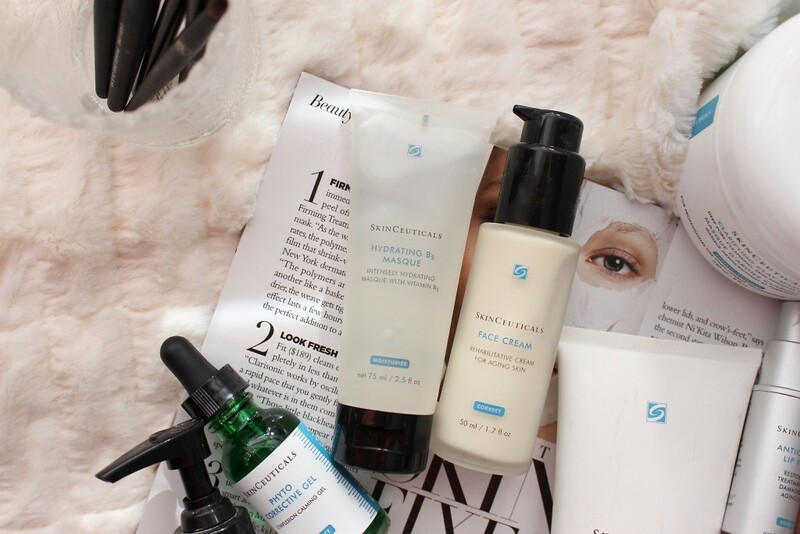 This post is a little different because I actually use Skinceuticals products every single day and absolutely love their products. 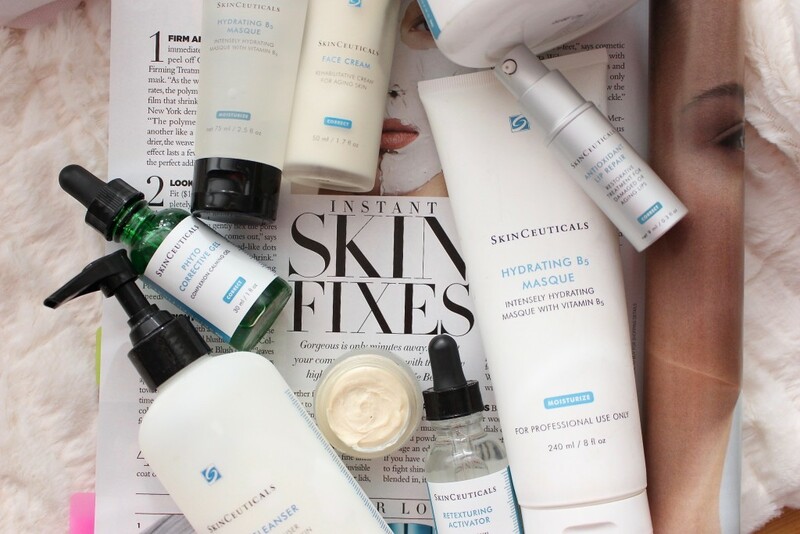 I’ve been using Skinceuticals for probably over two years now, so I was really excited to team up with them to try three new products. 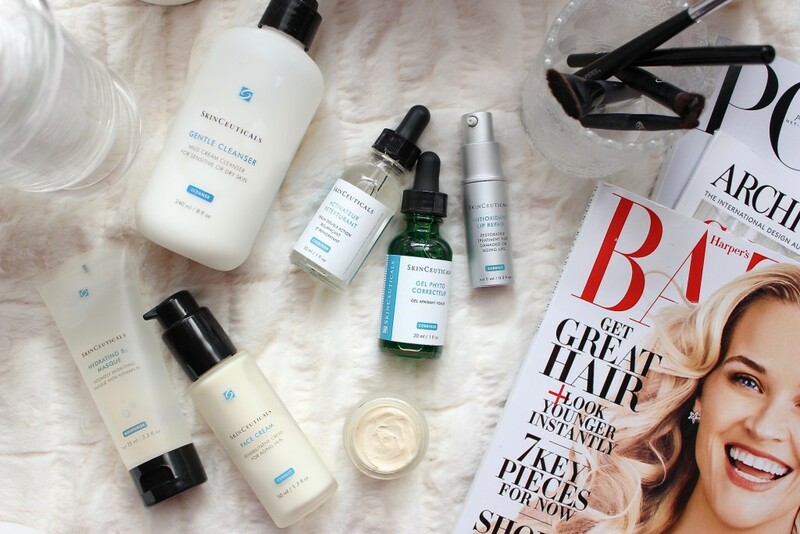 I’m curious, have you ever tried any Skinceuticals? 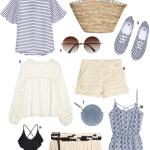 I’m sharing my feedback, what I currently use and what I thought about these three new additions below – thanks for stopping by!. 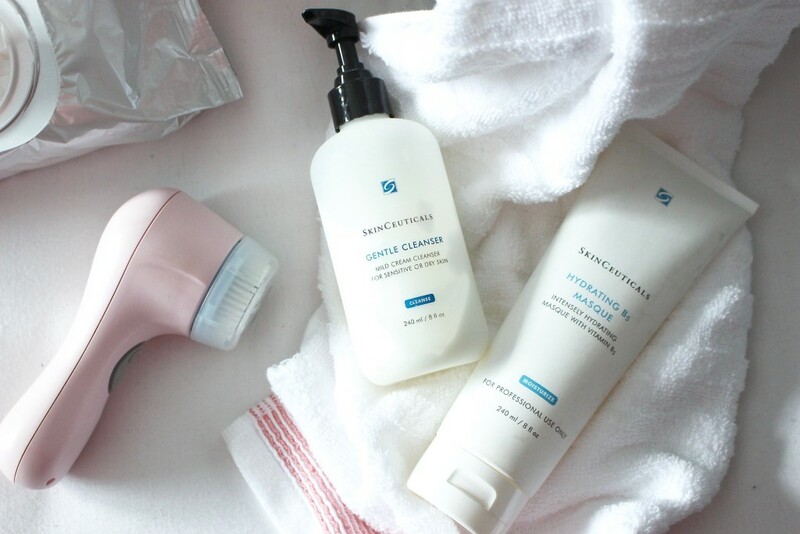 Step 1: Gentle Cleanser: “I give my face a good, clean wash using Skinceuticals Gentle Cleansing wash and my Clairsonic”. Step 2: Eye Balm: “I follow the wash with a little dab of Eye Balm to the area under the eye and brow line, to help reduce puffiness and pump up on moisture”. Step 3: Face Cream: “I finish up with one pump of Face Cream – I’m obsessed with this stuff, it’s thick and luxurious and feels great on my skin, even in the morning after a good night’s rest”. 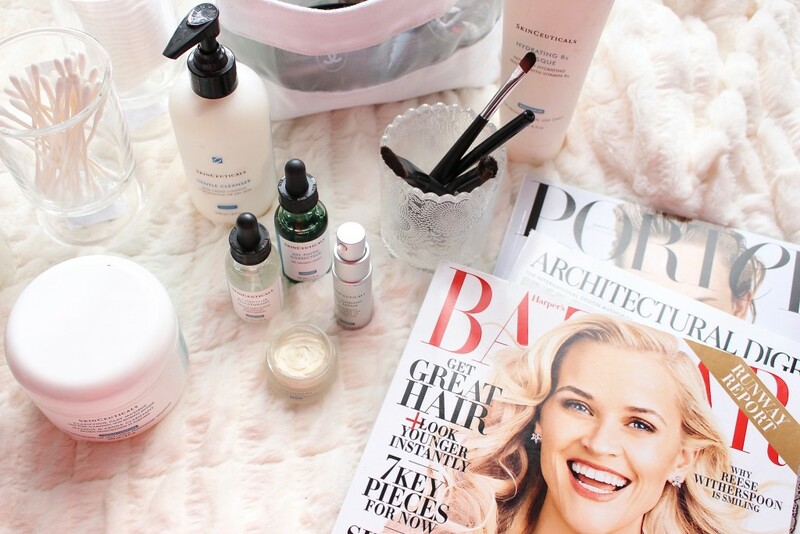 Antioxidant Lip Repair: “I used this throughout the winter months and it’s amazing! 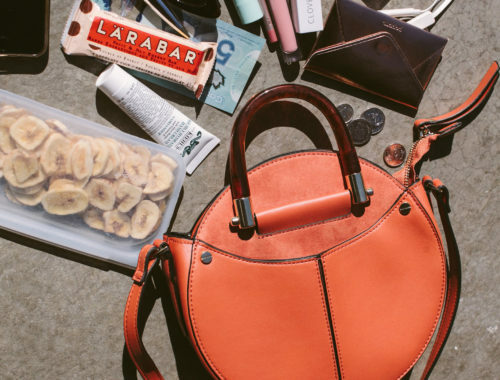 You just need a little pump to help combat dry lips, while helping to smooth and rehydrate”. 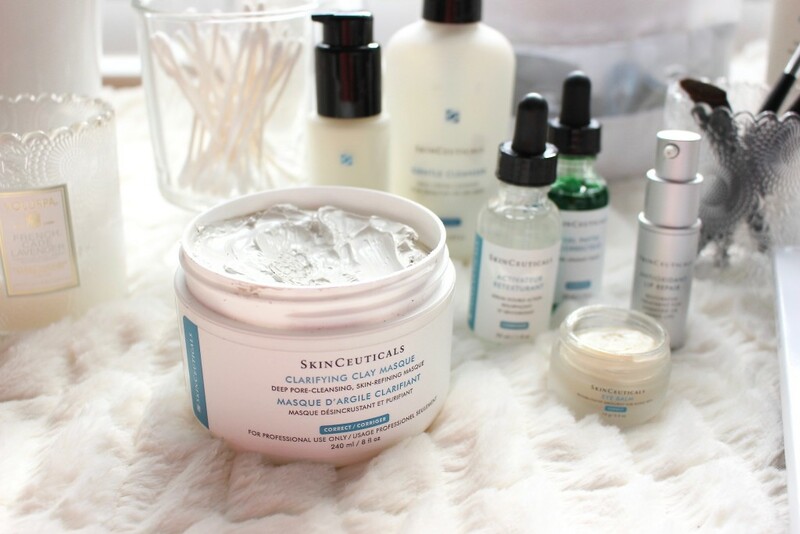 Clarifying Clay Mask: “I use this clay mask about every two weeks to help calm my skin and gently exfoliate”. Retexturing Activator: resurfacing and replenishing serum helps to reinforce the skin’s barrier for healthier, more radiant skin. “I’ve been adding 4-6 drops (twice daily) to my face and neck, to my routine above – I love that it’s oil free and goes on really clean and feels amazing!”. Sheer Physical UV Defense: weightless, 100% physical sunscreen provides water-resistant broad spectrum protection with transparent titanium dioxide and zinc oxide. Enhanced with artemis salina, a plankton extract, this lightweight sunscreen increases skin defences and resistance to UV and heat stress. Color-infused technology enhances natural skin tone and boosts daily radiance. 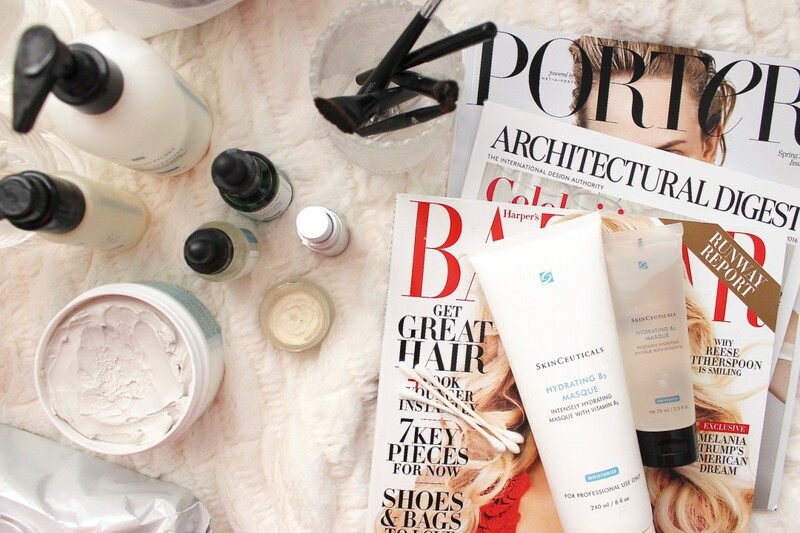 “What I love about this sunscreen, besides always being safe! Is that it is slightly tinted, and wears easily underneath your makeup”. Hydrating B5 Masque: Enhanced with a unique complex containing constituents of the skin’s natural moisturizing factor, this weekly hydration treatment re-establishes the water balance critical for maintaining skin metabolic functions at optimal levels. 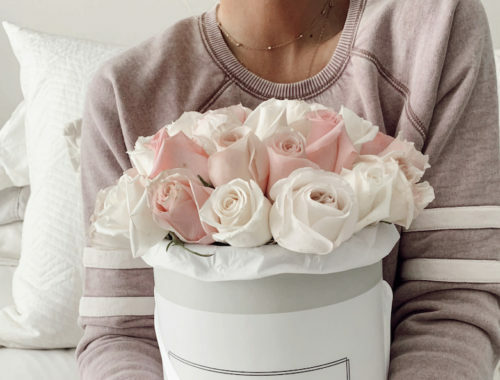 “Incorporated this new mask into my weekly routine, when I have time for a relaxing bath I’ll lather my face & neck and let it sit for 10-15 minutes. 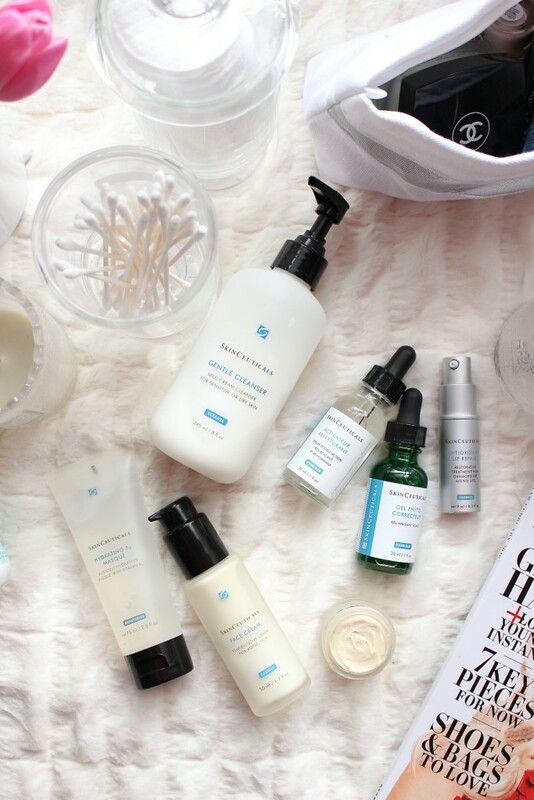 After even my first use I noticed my skin felt super soft and plump”. 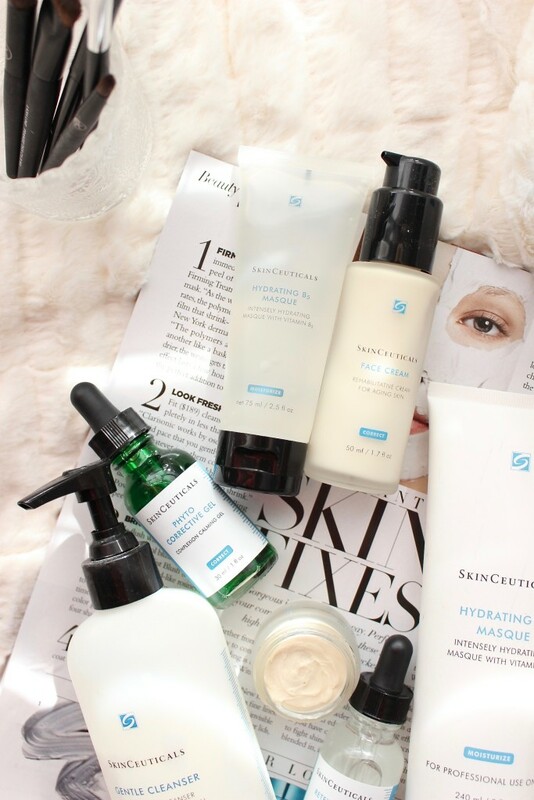 Please do not hesitate to DM, email or tweet me with any questions you might have regarding Skinceuticals in general, or any of the products listed here. 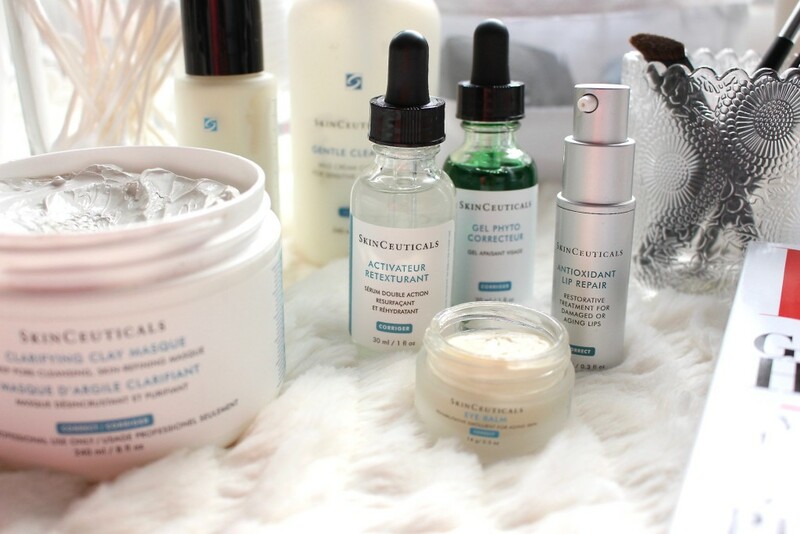 Thank you to Skinceuticals for sponsoring this post, all photographs and opinions are my own.